Bahraini State authorities announced Sunday the discovery of the country’s so far largest oil and gas field whose production could exceed current oil and gas yield. 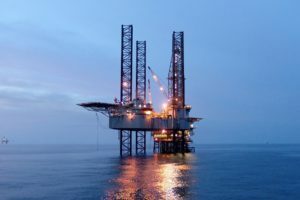 The tiny Gulf oil producer and non-OPEC member currently explores two oil fields, namely state controlled onshore Bahrain Oil Field and the offshore Abu Safah field whose revenues are shared with Saudi Arabia. Bahrain has been oil exporter since 1932. The offshore discovery at Khaleej Al Bahrain Basin, according to the oil ministry, will extensively support the 45,000 barrels currently produced at Bahrain Oil Field. “Initial analysis demonstrates the find is at substantial levels, capable of supporting the long-term extraction of tight oil and deep gas,” Oil Minister Sheikh Mohammed bin Khalifa Al-Khalifa said in a statement. Authorities will on Wednesday hold a press conference to bring details on the discovery, size and extraction viability. DeGolyer and MacNaughton (Demac) have been associated to the discovery of the giant oil field. Posted by KanelkaTagba on Apr 2 2018. Filed under Energy, Headlines. You can follow any responses to this entry through the RSS 2.0. Both comments and pings are currently closed.